Home / Blog / SURVEY RESULTS: When Did You Realize Your Marriage Was Over? These clients feel the marriage was doomed from the beginning, but they admittedly were too wrapped up in the wedding or wanting to be married that they ignored the initial red flags the marriage wouldn’t work. These red flags include outside family members disliking the soon-to-be-spouse, one party’s financial irresponsibility, and physical or emotional abuse. These clients feel that after they had children, they discovered the other spouse had different values, whether it be how to prioritize family versus work, how to raise the children, whether and to what extent to discipline the children, etc. It goes without saying that having children also financially strains a marriage, bringing about arguments, stress and a sense of helplessness. This common response was explored in the movie Hope Springs, starring Meryl Street and Tommy Lee Jones. When raising kids, parents are sometimes so focused on the needs of their children that they forget to focus on the relationship with their spouse. This typically doesn’t become apparent, or as painfully apparent, until the children leave the house to go to college or move elsewhere and the spouses are left with an “empty nest.” Some couples realized their incompatibility earlier in the marriage but put their marital issues on the backburner to focus on raising the children. After the kids move out, they use the opportunity to focus on individual happiness and, possibly, getting a divorce. 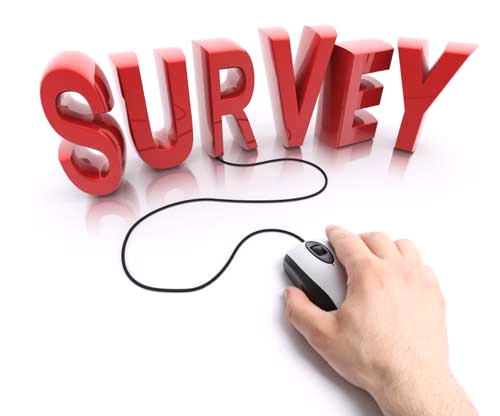 The survey was hosted by surveymonkey.com and enlisted responses through our Facebook page. Of course, the statistical confidence of this survey is questionable. We can’t guarantee that the responses were derived from a statistically diverse population. We can only assume everyone responded truthfully. Even so, regardless of the statistical confidence, we can still learn from the responses obtained. In 24 hours, 35 people responded (thank you!). Curious to learn the results? Before reading on, take your own guess…..
- The majority of the responses (37.14 %, or 13 of the responses) chose “D” – Other. Of those who chose “Other”, 5 responses cited to adultery. One of the responses noted that it was after her husband stole her daughter’s jewelry. Another cited to the death of a close relative. One response noted that several years after the marriage, the couple disagreed as to whether they should have children. The remainder cited to general problems in the marriage that had been ignored, never addressed by one spouse or realized at some indiscriminate time during the marriage. What can we take from these results? A marriage can break down at any time. There is no marriage handbook. There are no hard rules or crystal balls. We can gleam that a majority of the marriages dissolve because of a break in trust or the realization of different values/goals at pivotal times during the marriage – after having children, the death of a relative and likely other stressors that force a couple to contemplate whether they would be a better “team” living together or apart. Of course, many divorcing couples likely play “Monday Morning Quarterback” (like the Super Bowl reference?) and wonder what they could or should have done differently prior to the breakdown of the marriage. However, debating the past only steals precious time from planning for a healthy and happy future. It can’t be ignored that 1/3 of the responders acknowledge they knew the marriage wouldn’t work before it even began. This stresses the need to consider a Prenuptial Agreement. My partner and I published an article in the New Jersey Law Journal that addressed the newly adopted standard for enforcing a Prenuptial Agreement. For a link to that article, click here. The many advantages and myths concerning prenuptial agreements will be addressed in a future blog article. Regardless of the reason for the demise of your marriage, take comfort that you are not alone. Many support groups exist to assist you through the transition. Our friends at Journey Beyond Divorce (www.journeybeyonddivorce.com) view divorce as an empowering way to reinvent yourself. They are available, via phone conference, to walk you through the emotional journey. At Ruvolo Law Group, we understand that divorce may be embarrassing, confusing and painful. Our team is available to guide you through the process and assist you in writing the next liberating chapter of your life.